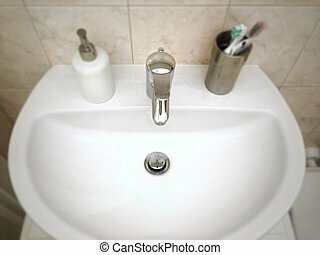 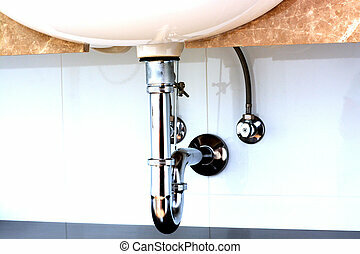 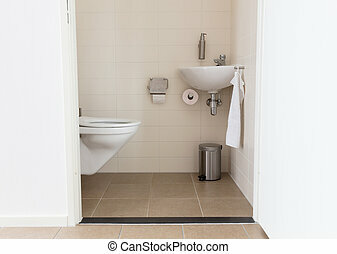 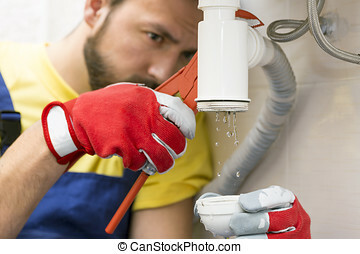 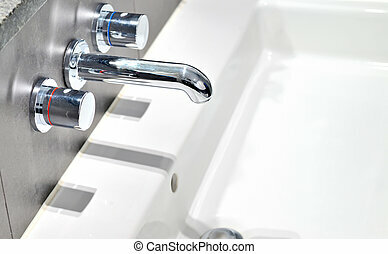 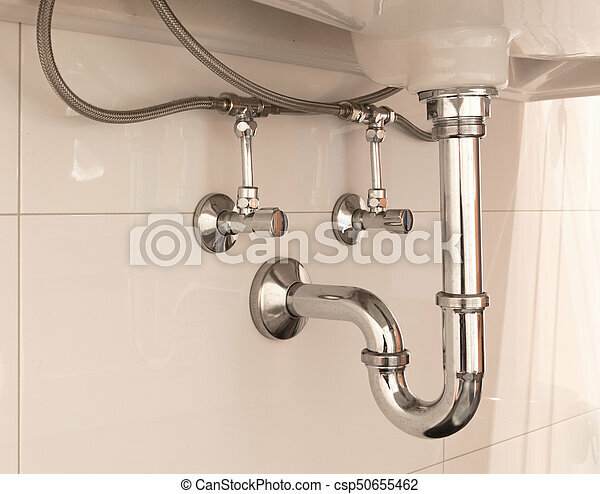 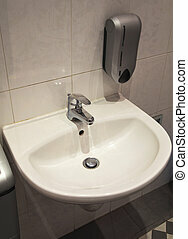 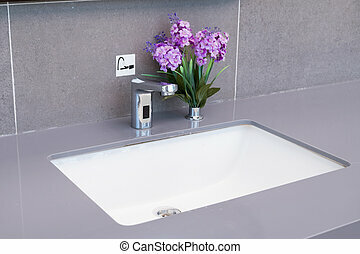 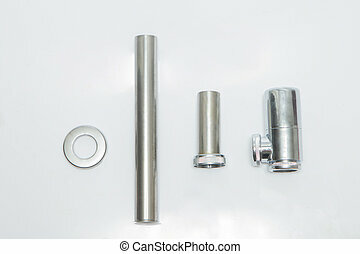 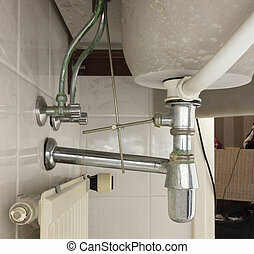 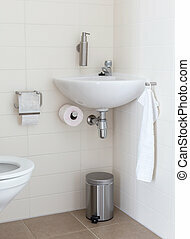 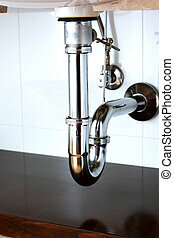 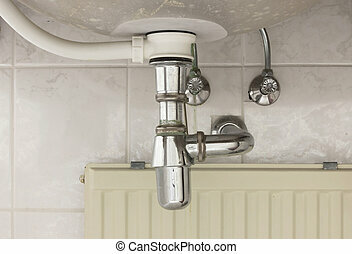 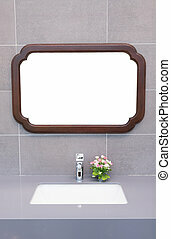 Basin siphon or sink drain in a bathroom, clean. 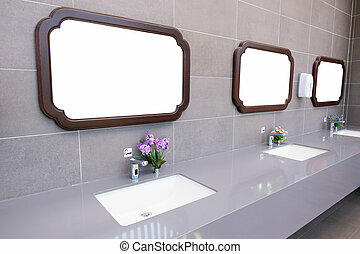 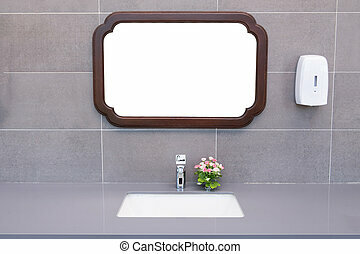 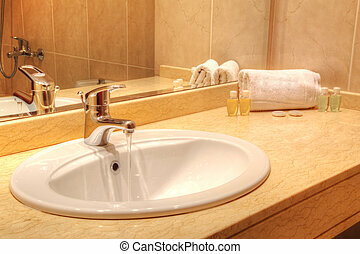 Basin in a modern bathroom. 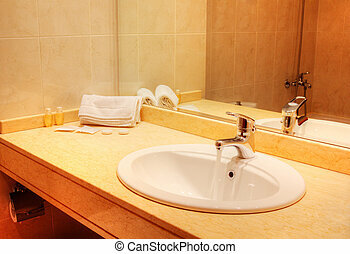 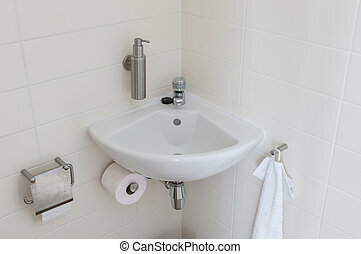 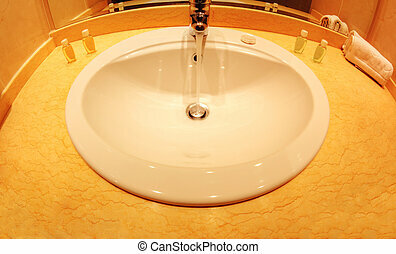 Ceramic wash basin in bathroom.